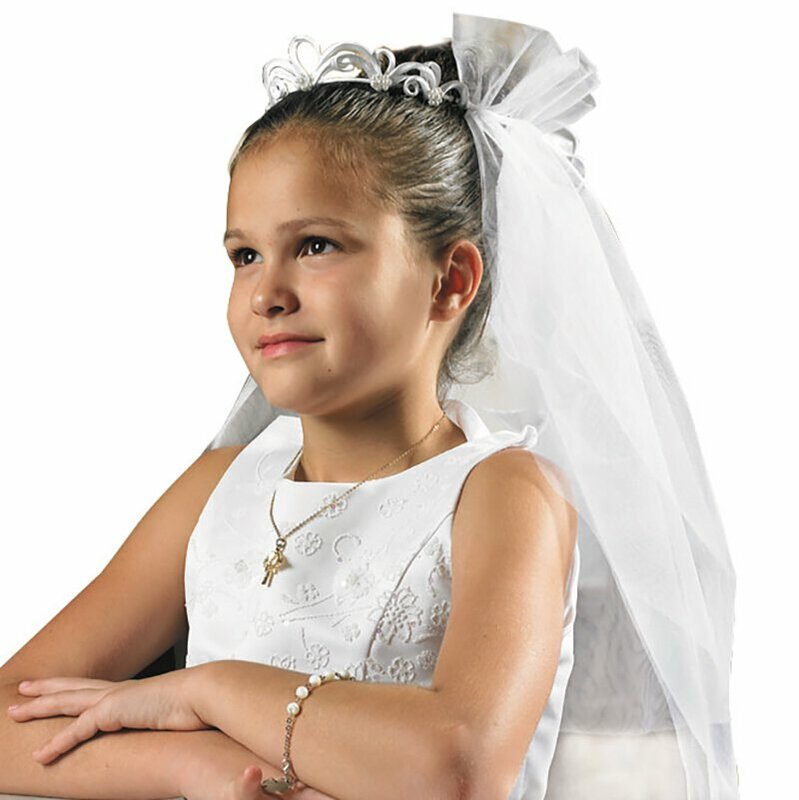 A child&'s First Holy Communion is one of the most important events in their life. 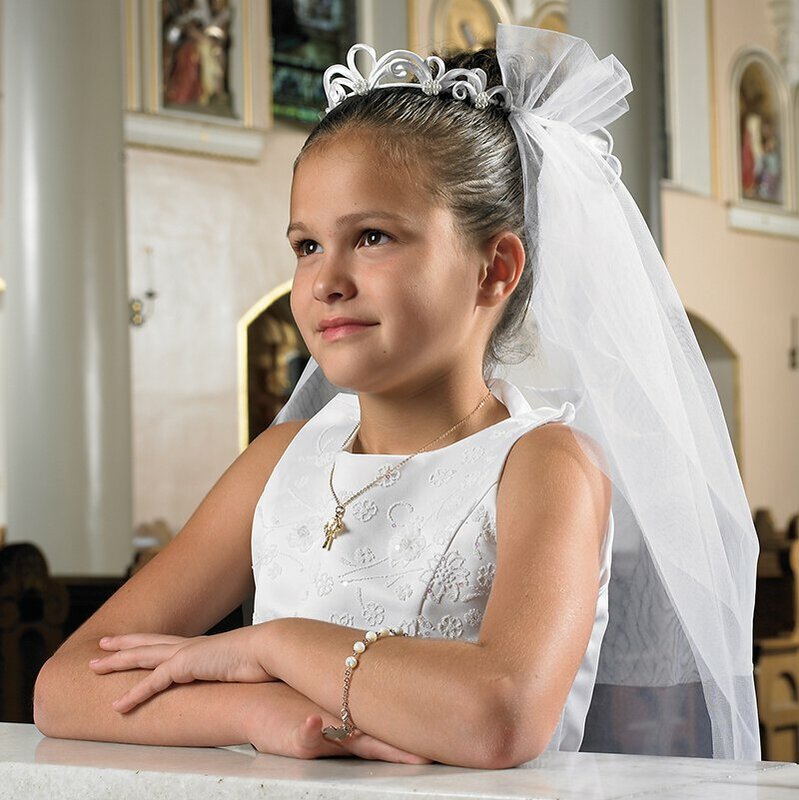 Help her make the day extra special with one of our beautiful Elegant Tiara First Communion Veils. She will look absolutely radiant wearing this fancy, traditional styled veil made of nylon mesh and imitation pearl beads. Each veil is designed so that it can be easily worn atop any hair style and is sure to compliment any traditional Communion attire. Comes neatly packaged for ease of retail display or can be used to store the veil as a keepsake of that special day.